A tip card about physical activity, one of the focus areas of The Wellness Movement. A tip card about tobacco-free living, one of the focus areas of The Wellness Movement. Have you started planning your Wellness Week activity? Take your planning to the next level or kick-start your planning today with this new tool and spread the word about New Brunswick Wellness Week – taking place from October 1st to 7th! 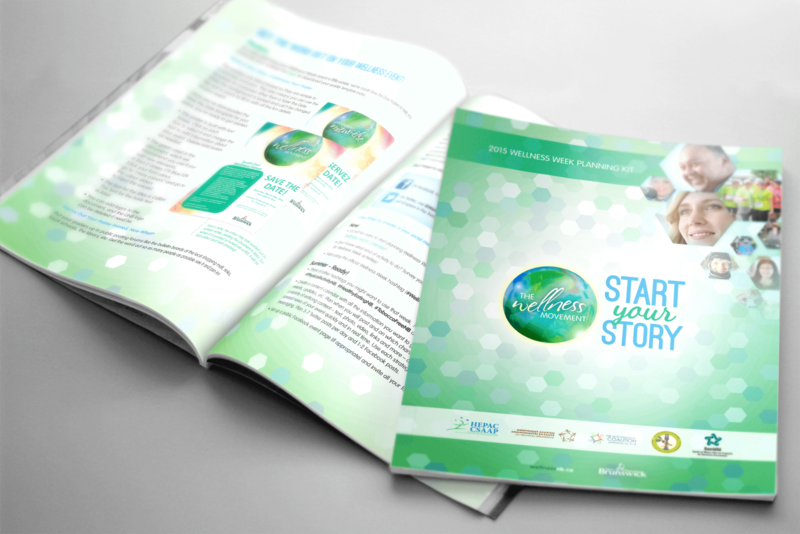 • Idea-starters to help you promote wellness within your own groups, organizations and communities – and maximize your Wellness Week! • Downloadable poster templates to use to promote your activity. This infographic aims at demystifying what food security and insecurity are. 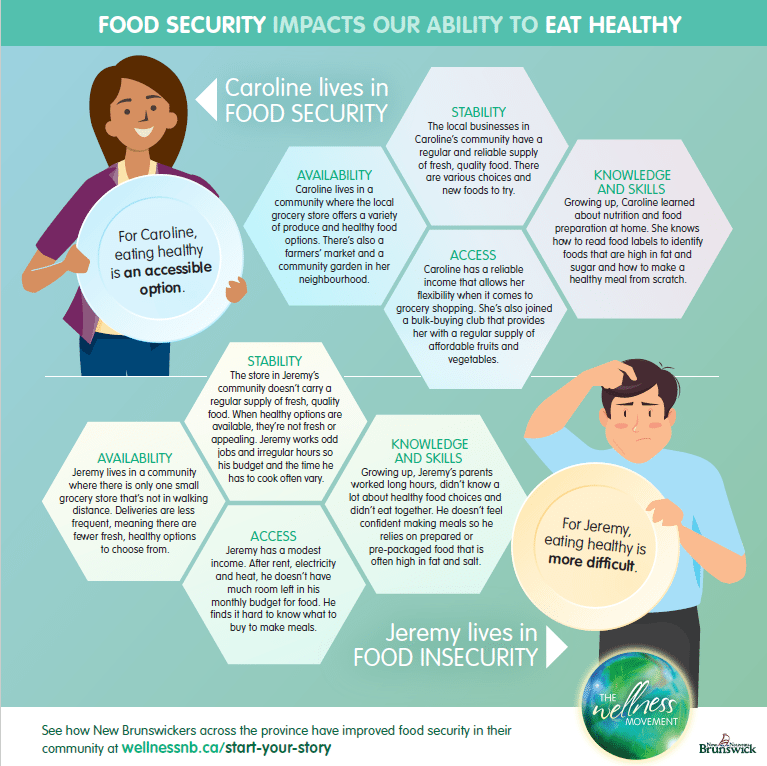 Through the fictitious examples of Caroline and Jeremy, find out what it means for someone to live in a context of food security, or contrarily, to live in a household that’s food insecure. Learn how each of the four pillars of food security, as identified by the Food and Agriculture Organization of the United Nations, impacts food security and a person’s ability to eat healthy. 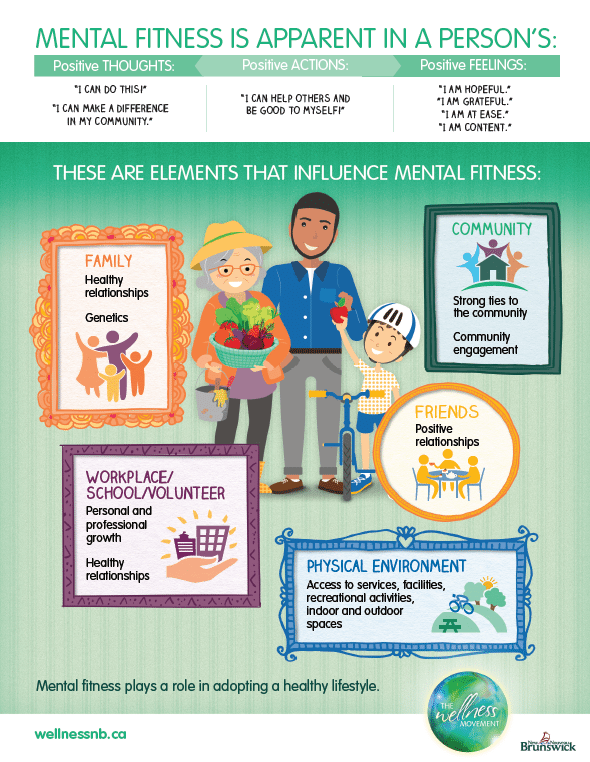 This infographic presents in a simple, succinct way “what is mental fitness”, as well as the elements in a person’s physical and social environments that influence it. A great tool to spark discussion on mental fitness, to accompany a presentation or even to display in a classroom, a community space or a workplace to raise awareness on these elements. Make sure to have a look at our companion infographics on the CAR Approach to mental fitness here! 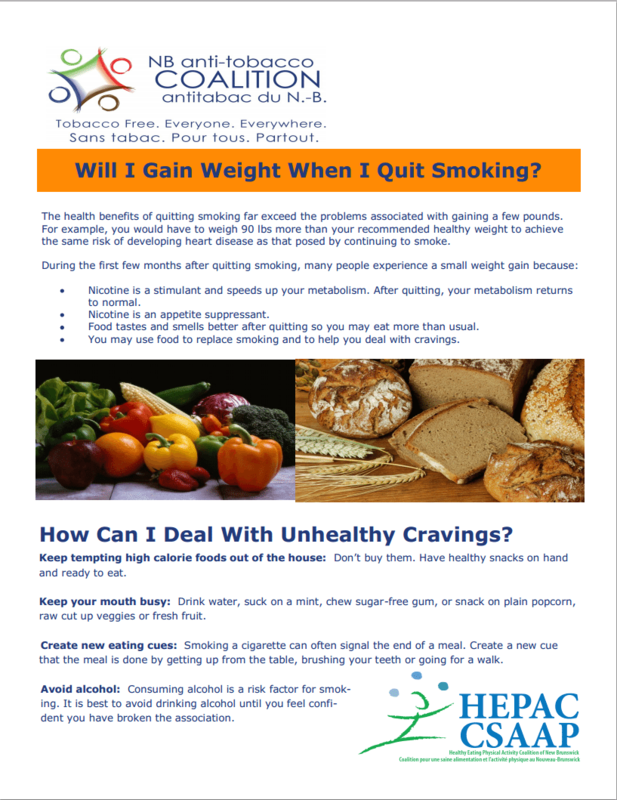 A fact sheet to explain weight gain after you quit smoking. It offers tips and advice to avoid and/or deal with weight gain after cessation. 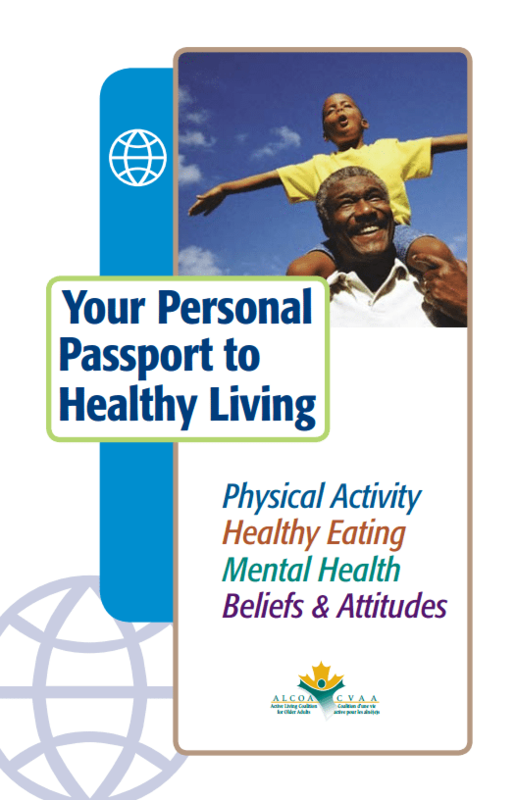 Originally designed for older adults but still useful for people of all ages, the Passport takes the participant on a healthy lifestyle journey. It is designed to provide them with benefits that will last a lifetime. Research shows that when people record their daily habits, it increases their rate of success in changing their lifestyle. This document invites you to take notes onof your progress, and features wellness advices.